The Govt. First Grade college was started in the year 2011-12 with 933 students in BA/BSc/BCom and BBM. The students strength had been increased to 2000 in 2012-13, and 3300 in 2013-14. This college is affiliated to Tumkur University in Tumkur District of Karnataka. This college has achieved both Quantitative and Qualitative achievement in academic and administrative fields. The special feature of this college is that about 90% of students are from rural areas. They are coming from interior villages of Tumkur district. 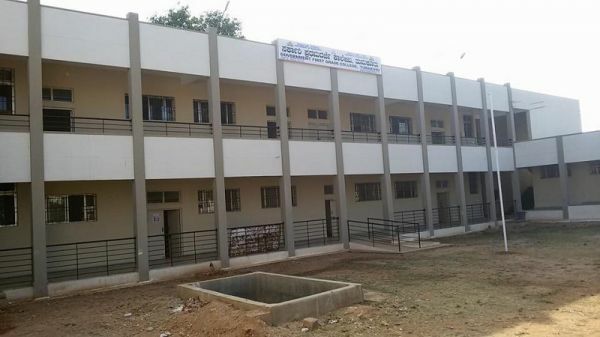 Before the establishment of this college, Tumkur had two prestigious Government First Grade Colleges. In 2009-10 these two colleges were taken up by Tumkur university as a result there was no Government First Grade College in Tumkur city for about 3years. Now the present college is running in Government High School. In 2013 Government had sanctioned 5acres of land which is very near to the Railway station and Bus stand. In 2013-14 campus recruitment was conducted by TCS company .About 1000 students participated from different degree colleges of Tumkur dist and 44 students were selected. There are 10 Departments in this college with 9 combinations in BA (viz. HEP, HEK, HES, and HEE), 2 combinations in BSc ( viz PMCs and PCM) BCA and BCom, BBM as per Tumkur University Syllabus.